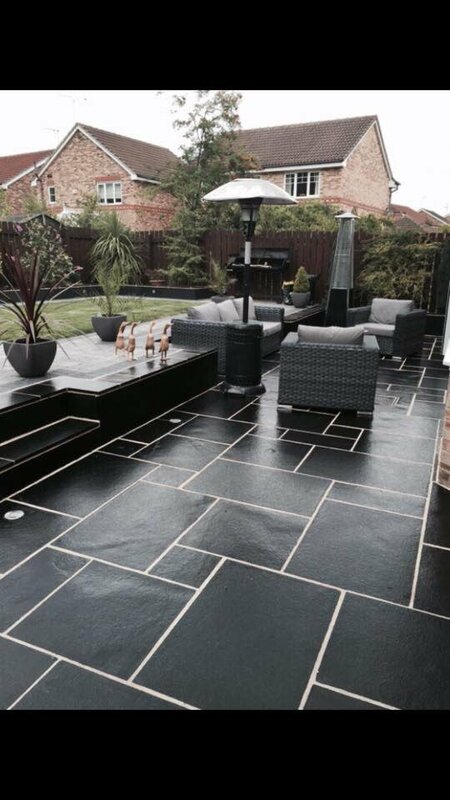 Sleek, shiny and ultra-modern looking, our Kota Black Limestone Paving really is something special. 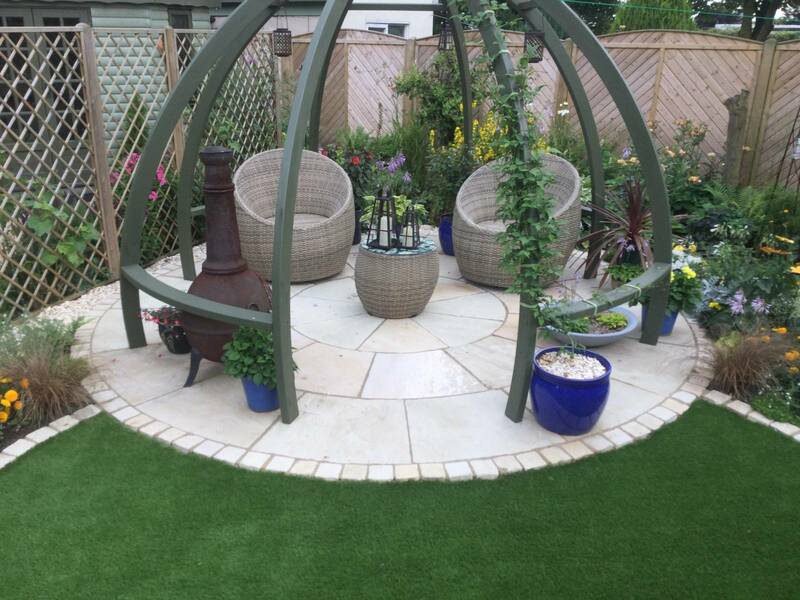 Unlike the riven look of sandstone, limestone paving has a flatter smooth finish similar to orange peel and is very consistent in depth, making it ideal for use indoors as well as outdoors use. This elegant dark shade is particularly eye-catching as its colour is incredibly consistent right across the tile. 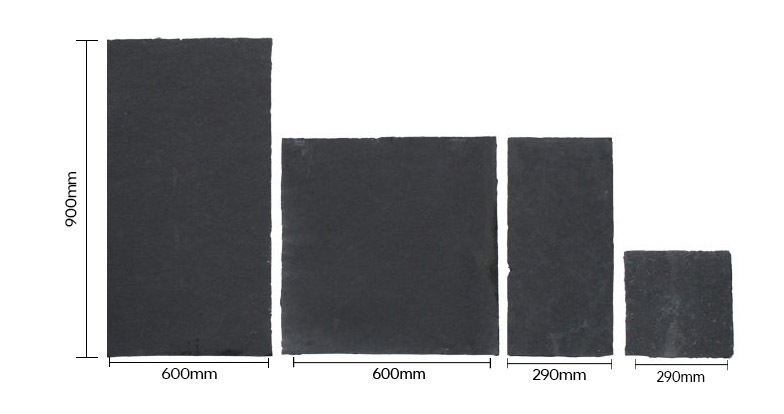 The deep black colour when freshly quarried does eventually fade in natural sunlight to a charcoal grey, but will always return to a jet black colour when it’s wet. 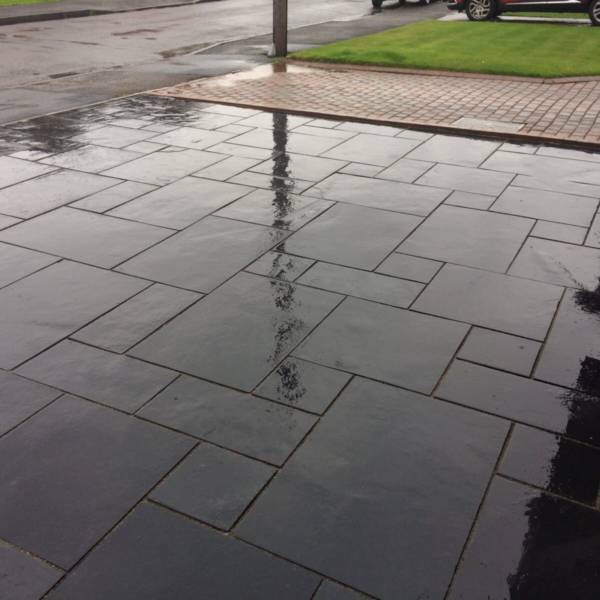 However, if you want to keep your paving looking blacker for longer, it is possible to seal the stone with a colour enhancer. 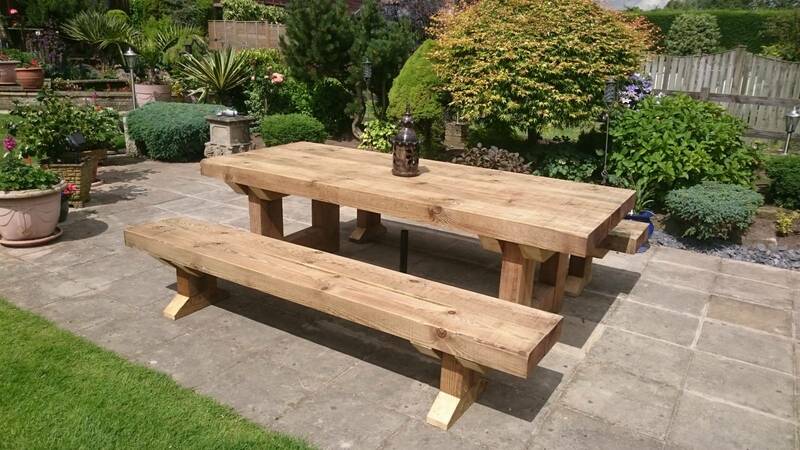 Not only does this protect it, the sealant also helps to keep it extra smooth and easy to clean. 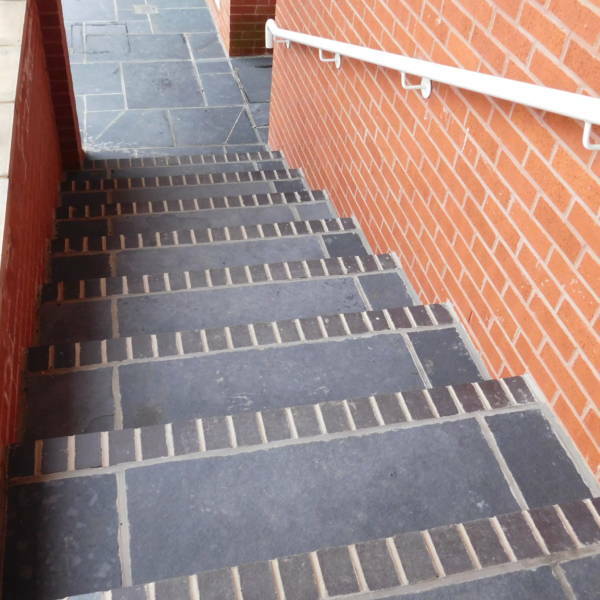 Kota Black Limestone Paving from RF Paving is available in three single sizes. You can also choose to buy it as part of our ever-popular RF7 Project Pack which offers a mixed pack of flags for laying in any pattern you choose. 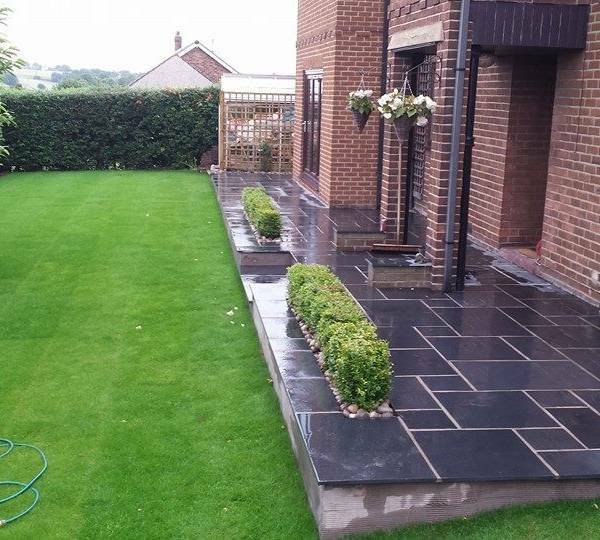 Black limestone is also available in cobbles/setts and circles which complement limestone and sandstone colours. 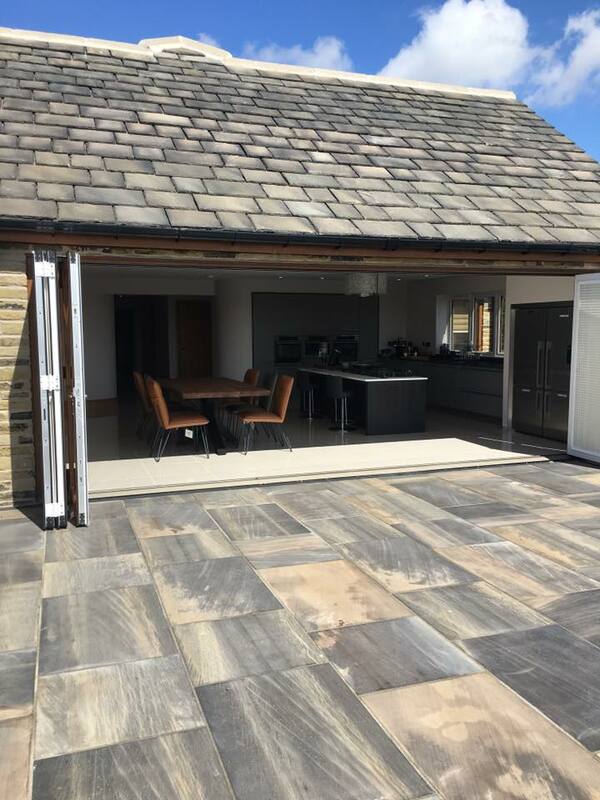 For more information about our stunning Kota Black Limestone Paving, please do get in touch today, or arrange for a no-obligation quote. Plus, don’t forget to ask about adding sealant too, to perfectly preserve your new flooring for years to come.